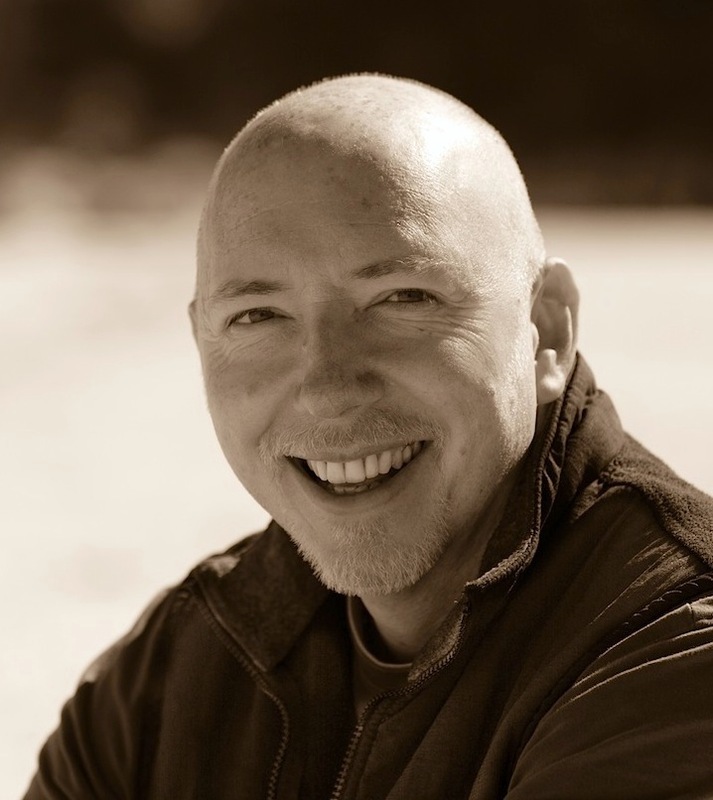 Steve Robinson - Author: Book 4 update & tip - know what you want to write. Book 4 update & tip - know what you want to write. I thought a progress update on my next Jefferson Tayte book was about due. Two weeks ago the word count ground to a shuddering halt as I realise that, although I knew generally where I was going with the plot, there were some big questions that remained to be answered in the past narrative I'm currently working on. Sometimes the answers to these questions just pop into my head - typically when I'm doing something completely unrelated. Other times I have to grind it out, and it can take days (or weeks) to find the answers, during which time I write copious amounts of notes going off on one tangent or another. Well I'd gone about as far as I thought I could go without finding the rest of those answers and I'm pleased to say that I now have - all but one, which I hope to have resolved by Monday. I've written around 5000 words this week (Monday-Thursday) as a result of knowing what I wanted to write. Some writers might not consider that much, but over four days I know that's good going for me and I'm very pleased with the progress. So much so that I'm going to allow myself a break to play golf this afternoon (Friday) having abstained for the past two weeks while I was working on the plot. And who knows? I might well be mid swing on the tenth hole and bam! That remaining plot issue, which I currently expect to take me all weekend to resolve, could just pop into my head. I write my early drafts in a software application called Scrivener and I love it. Pre-Scrivener days I used to write scene titles on post-it notes and stick them all over the wall, now I do it on my screen with a virtual cork board. Instead of having many separate files for every scene, character, plot and research note, which is how I used to write, I have everything within the same application, and I can switch everything about and organise things will great ease. I have sections where I keep all my research and others for all the characters. It really makes sense to me to keep everything in the same project file. 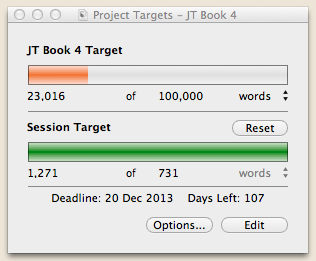 I love Scrivener and can't imagine working without it now. I wanted to show you a screen shot of my current project, which is just called Book 4 for now - so you can see how it looks, but I quickly realised it would spoil the story as I name every scene with a brief resume of what happens. So that's a big no-no. Here's a screenshot though of the little target box that tells me how I'm doing. The target is shown higher than I've posted here on my blog as I've written lots of scene notes where I plan to write the next scene, so the software includes those notes and I just subtract them when I post the total on my blog. I've set a target for the completion of the first draft and I tell it which days I write on, and it tells me each writing day how many words I have to write in order to achieve that target. Both bars start out red and gradually turn green as I get closer to reaching the target. I really like it. I feel good when I hit my daily target and I feel great when I smash it - as I've done every day this week. I put that down to having spent the last two weeks really working out what I wanted to write. People talk about writers' block like it's some unknown thing that just hits you out of the blue some days. I get days like that, but every time it happens I can usually put it down to not being prepared for what I want to write next. That doesn't mean I always write what I set out to though, because I love those curve balls my characters throw me every now and then. But having a solid framework to follow certainly helps to keep the story moving forward, and then the word count takes care of itself.